10 awards of 100% tuition fee scholarships are available for students from the developing and third world countries registering for taught Masters programmes at Malaysia Campus in areas related to science, technology and education. Applications should be submitted via email. Please enclose a copy of unconditional offer letter and acceptance form together with this application form. 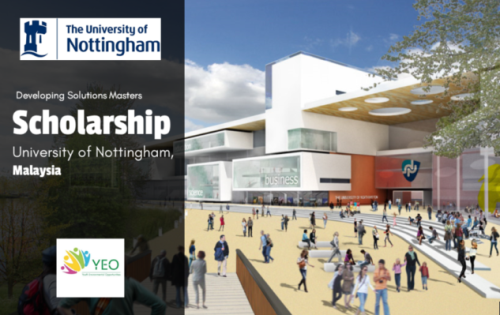 All the information about Fully-Funded University of Nottingham (Malaysia) Scholarship for International Students has been delivered nicely; interested and talented students who are eager to pursue their Free Tuition/Scholarships/Study in Malaysia can apply now. Labels: Malaysian Scholarships, Master's Scholarship, Scholarship.